Copper plated and aged for an antique effect. Superb quality thermostatic radiator valve and lockshield pair. Matching shrouds and base plates available separately. 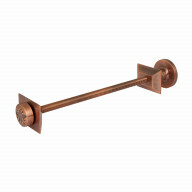 Our favourite style of radiator valve. Stylish and sleek, and perfect with all of our cast iron radiators. 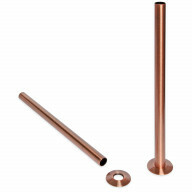 This thermostatic radiator valve is finished in antique copper, with matching shrouds and base plates available separately. 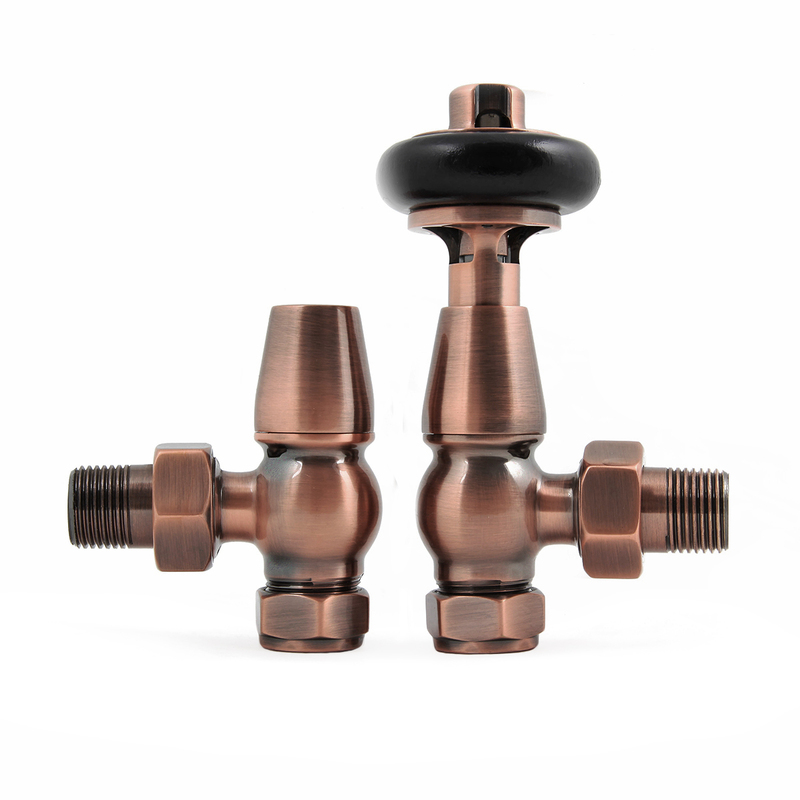 We think that valves in Antique Copper look exceptional paired with radiators painted in bold shades such as Matt Black, Dark Grey Sparkle, or Bournville, and also with any of our antique powder coat finshes.